At the Kot Massacre of 1846 A.D. Jung Bahadur Rana was the last man standing. He quickly consolidated his power by getting Regent Queen Rajya Luxmi Devi to appoint him the new prime minister of Nepal. A hereditary prime ministership of his family was started that lasted for 104 years. The royal family of the Shah dynasty was marginalized and reigned as mere figure heads. Prime Minister Jung Bahadur Rana quickly set out to consolidate his power base. He rewarded his brothers-in-arm by making the prime ministership hereditary, going from elder brother to younger brother, a masterful scheme refuting the accepted norm of primogeniture that firmly aligned his younger brothers as loyal followers. Named Bir Narsingh Kunwar at birth, Jung Bahadur changed his surname to "Rana", a pretentious move to establish familial ties with the famous Rajput warriors of Rajputana. His family's social come-uppance was established by the marriage of his two elder sons to daughters of King Surendra, while he gave his two daughters, Tara and Lalita, in marriage to Crown Prince Trailokya Bir Bikram Shah. One of the daughters would produce the heir to the throne, the future King of Nepal Prithivi Bir Bikram Shah and she would also serve as regent to the minor king. King Surendra would later bestow upon Jung Bahadur a noble and hereditary title of Maharajah of Kaski and Lamjung. Prime Minister Maharajah Jung Bahadur died in 1877 A.D. in Pattharghatta. His family would be immediately divided between his sons in one camp and his brothers in another. His sons Jagat Jung and Jit Jung were enormously wealthy and connected to the royal family by marriage. But Jung had willed the prime ministership to be inherited by his younger brothers so Ranauddip, the 5th surviving brother, became the new prime minister of Nepal. However intrigues were hatched from day one by both the camps fighting for supremacy. Jagat Jung fired the first shot against the uncle Ranauddip but the plot did not succeed and he was removed from the roll call. Now it was the turn of the family of the Shumshers, the sons of the illustrious Commander-in-chief Dhir Shumsher, youngest brother of Jung Bhadur who had died a few years into the prime ministership of Ranauddip. 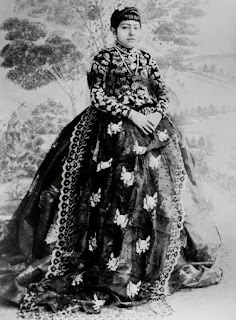 Queen Lalita Rajeshwori Devi was the second daughter of Jung Bahadur Rana. She was the junior queen, Kanchi Badamaharani, also known as Tower (Dowager) Shri Panch. She would play a crucial role in the coup d'etat mounted by cousin Bir Shumsher Jung Bahadur Rana, which would send Jung Bahadur's family into oblivion. The senior queen Tara Kumari was the sister of Jagat Jung, the eldest son of Jung Bahadur Rana and hence she was advocating on behalf of her brother for the restoration of his hereditary roll of succession. The second queen Lalita was the half-sister of Jagat and she was dead against this, siding with cousins Bir Shumsher and his brothers in their quest to succeed Prime Minister Ranauddip Singh. She was joined by her two younger sisters, Khadga Kumari known as Chirbiray Maiya and Deep Kumari known as Kanchi Maiya of Bagh Durbar, both married to a royal prince Sahebju Dhirendra Bikram Shah. This period in history is famously known as the era of "Petticoat" politics. Once again two opposing centrifugal forces in the court would bring dramatic changes in the course of Nepalese history. Crown Prince Trailokya died young and soon after King Surendra Bir Bikram Shah died too. Prithivi Bir Bikram was crowned a baby king in 1881 A.D. at the age of six with his mother Lalita Rajeshwori acting as the Regent of Nepal. The sun started to shine on the Shumsher Rana cause. Bir Shumsher mounted a successful coup d'etat against his uncle in 1885 A.D. with the support of the regent queen and his younger brothers. Prime Minister Ranauddip was assassinated in his palace. Bir was quickly sworn in as the new Prime Minister and Maharajah of Nepal by Queen Mother Lalita Rajeshwori on behalf of the king. Jung Bahadur's son Jagat Jung and grandson Juddha Pratap were killed immediately while rest of the family took asylum at the British Residency and were allowed to flee to India. 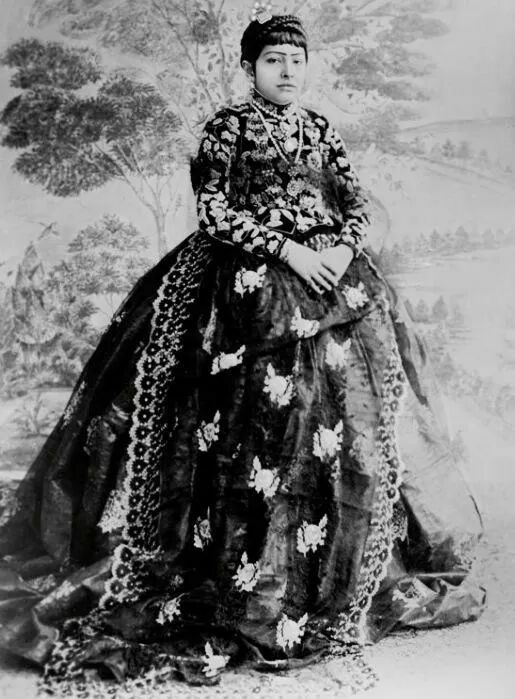 Regent Queen Lalita Rajeshwori Devi was instrumental in the emergence of the Shumsher famly. But after Bir Shumsher became the prime minister she fades into the twilight of history as the executive powers of the state were firmly in the hands of the Rana family. The last regent queen in our history was Queen Mother Revati Raman Rajya Luxmi Devi acting as regent for her stepson King Tribhuvan Bir Bikram Shah, when he inherited the throne of Nepal in 1911 A.D. at a mere age of five. 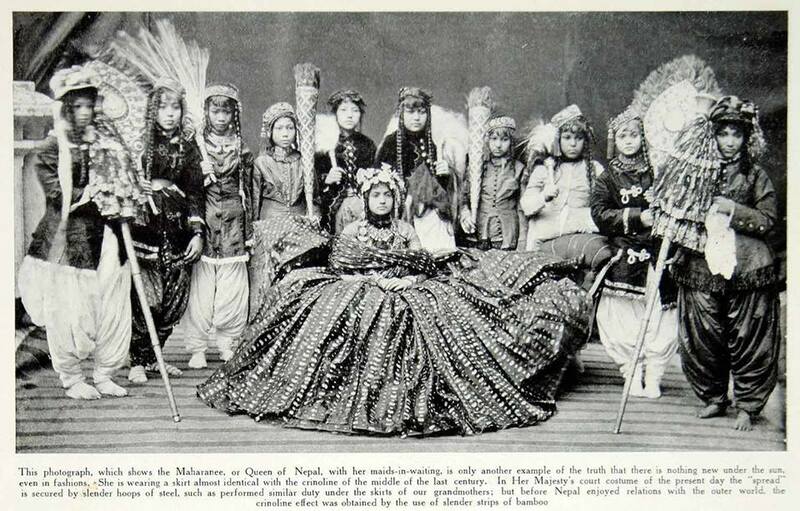 The days of the powerful regent queens of Nepal are now truly over. Rudyard Kipling once wrote, "A woman's guess is much more accurate than a man's certainty." A republican Nepal will no doubt generate its own powerful "petticoat" politics in the days to come. Subodh dai, you have masterfully glossed over the "vicious" rise of our ancestors to power. Your penultimate sentence seems to assume that a "republican Nepal" is here to stay. I'm not so sure: (a) not at all sure that a republic is good for Nepal; and (b) maybe I am a dreamer, but a restoration of the monarchy is not too far-fetched yet. As for "petticoat politics", the new Ranas - our comrades - have a penchant for involving their wives in politics. So I doubt that this pms strain of politics will fade away soon. Power politics is a dog eats dog business. Ram Rajya or Camelot is just a myth perpetuated by clever court sychophantic historians. Junge did to others what others would have loved to have done to him.